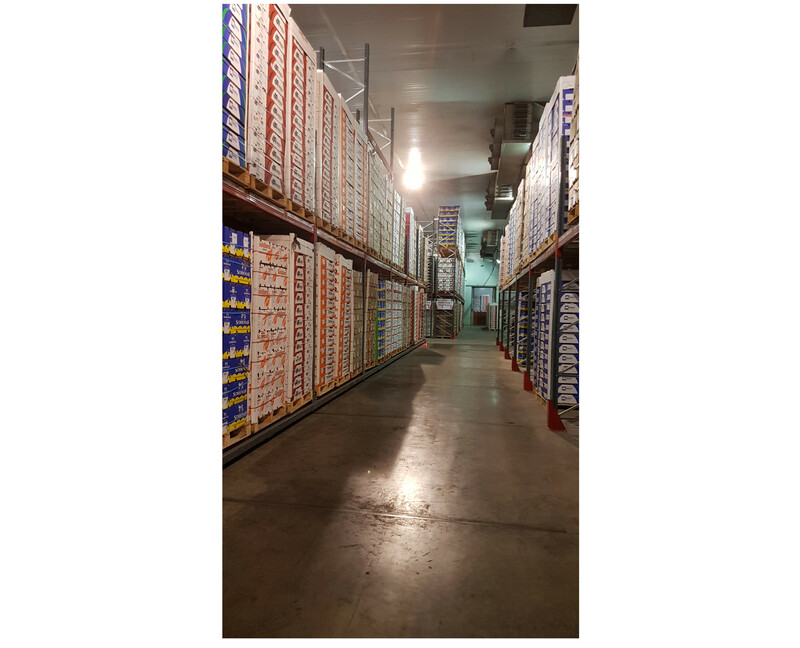 When Shree Property Holdings, Durban’s largest property developers, finalized the upgrade plan for their existing cold storage premises, Shree Cold Storage, at 328 Sydney Road it was already November 2017. After Shree Property Holdings had removed the existing concrete floor, Pierre Joubert of Chris Howes Construction was able to lay the concrete rail support plinths before the Christmas break. The Storax rails arrived in early January and were installed immediately allowing Chris Howes Construction to fit the rebar and pour the floor slab. Focus then turned to the Storax bases and racking. The electrical control system was made by Barpro Storage at their premises in Cape Town to save time. 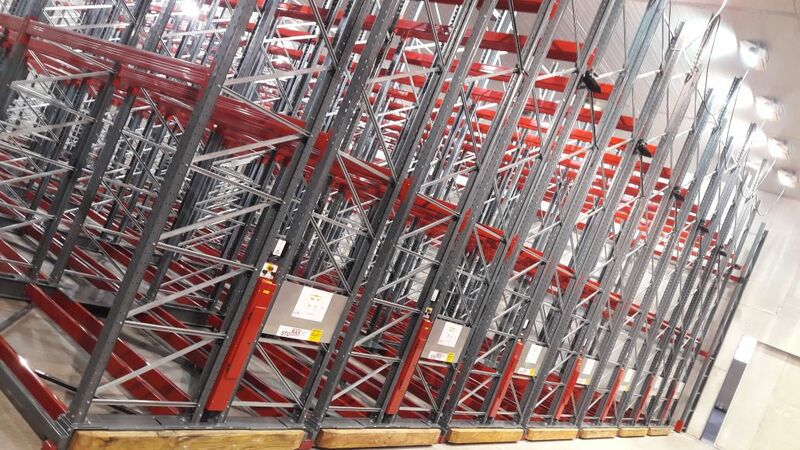 The racking, designed to take 1500kgs per pallet with frames designed for the increased loading of a future 4th level were sourced directly from Ramada’s factory in Ovar, Portugal and dispatched with the base components on a per mobile bank basis so that the six mobile banks could be completed individually as the materials arrived on an almost weekly basis. That, at any rate, was the plan and the Ramada Storax Logistics Department did everything to make it happen. But even the best laid plans of mice and men…. Materials for the first bank left Signes, the Lisbon Container terminal, on schedule, but then a series of storms hit Portugal’s exposed Atlantic coast including the infamous “Beast from the East,” shutting down Portugal’s harbors for the best part of three weeks. The confusion and buildup of containers was horrendous and the shipping lines were overwhelmed. We still don’t know how they did it, but Ramada Storax’s Logistics Department had Shree Cold Storage’s containers on the first shipment out of Signes and then on all subsequent vessels, until everything was on the water. On arrival in Durban, Linmar Shipping, aided by Shree Cold Storage, got the containers released and delivered to 328 Sydney Road in record time, often in 3 to 4 days rather than the budgeted 10, allowing Bruce Stott of Racking and Shelving Specialists to fabricate the frames and install the racking on the Barpro installed bases. But it was still touch and go. 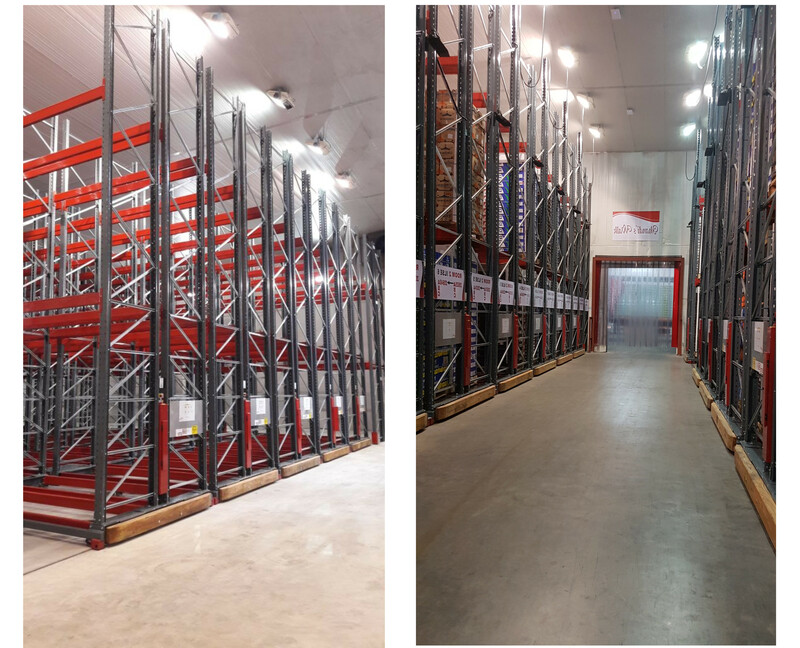 As the first room was completed, the citrus pallets were already arriving and the second room was finished literally in a,” just in time”, basis.